people with disabilities has been inspired by her son, Ben. Like other team members at Abilities United, Debby Lesser has a deep commitment to people with disabilities that extends well beyond working hours. An Executive Assistant at Abilities United, for more than twelve years Debby has been focused on helping to ensure housing options for those with disabilities. “Many people with disabilities are low income, and it’s not affordable for them to live in this area given housing costs,” she says. “I’ve tried to help raise awareness that people with developmental disabilities live in our communities and they need housing. Otherwise, they often have to move somewhere cheaper that’s far away from families and friends”. 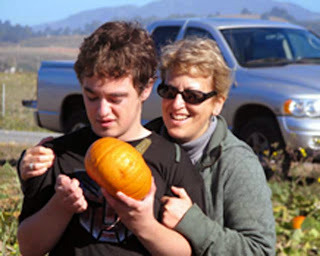 “A woman with a mission, in the last fifteen years Debby has helped build forums for parents to start planning on housing for their disabled children; helped start a parents group that now has 170 families; and continues to work with local communities to advocate for more housing options. Based on a 2013 interview with Debby Lesser. Written by Bob Thomas, edited by Debby Lesser and Wendy Kuehnl.